West Elm has new decorations for the upcoming holiday season. 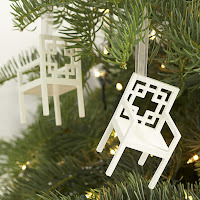 Included in their tree trimming collection are some miniature versions of their popular overlapping squares chair. 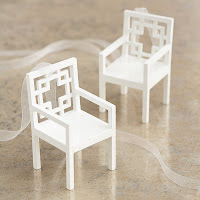 At $8.00 a piece, these little modern chairs are affordable and easily accessible.